“What's butterbeer?” I asked my brother, as we walked into the Wizarding World of Harry Potter at Universal Studios, Florida. Turns out, as I quickly learned, it's a cream soda-like concoction topped with a marshmallow head. It contains neither butter, nor beer. 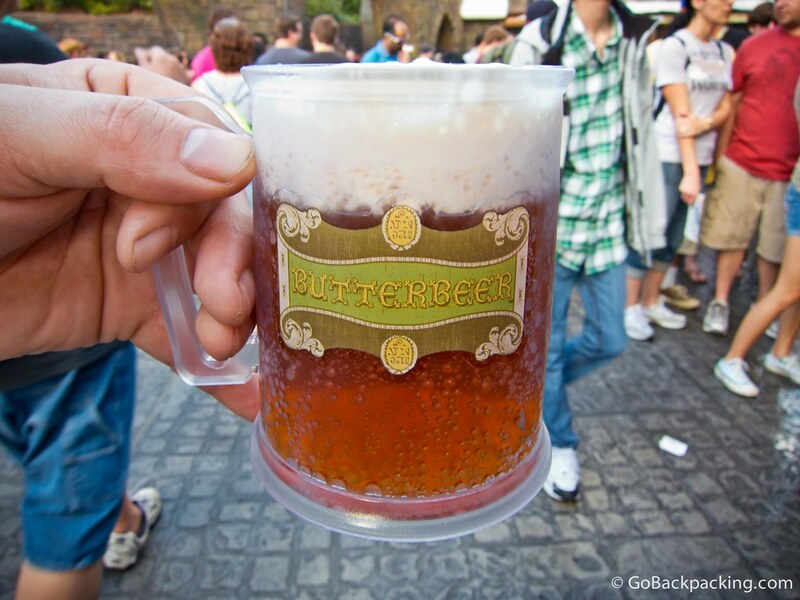 While the fictional drink once only existed in the Harry Potter books, a real world version was developed to satiate the fans visiting the World of Harry Potter at Universal Studios. That sounds horribly unsatisfying, especially on a hot Floridian day. I really liked Butterbeer :) I like cream soda and I like cream so its win-win. It was certainly hot enough to give me a sunburn that day. LOVE butterbeer! It tastes just as I imagined it would! If only they sold it to-go. I tried butterbeer when I went to Harry Potter world last year and while I don’t know if it was worth queuing for so long for I did think it was pretty cool to try something so different, and I agree that it tastes just as I imagined from reading the books.